No one wants to call the plumber. You have to miss work to wait for him, just to be hit with a hefty bill at the end of the visit. It puts a huge strain on your family when a toilet is out of order, so you probably think you have no other option but to make that call. You don't have to spend your time and money on toilet repairs and maintenance. Step-by-step tutorials for toilet repair and helpful tricks are easy to follow and get your toilet working in short time. Nothing is worse than a running toilet while you're trying to sleep. A quick trip to the store for a new flapper will solve your problem at a fraction of the cost of a plumber service call. You just turn off the water, flush the toilet to remove the water from the tank and follow the easy directions on the flapper packaging for replacement. The process can be completed in as little as 10 minutes. 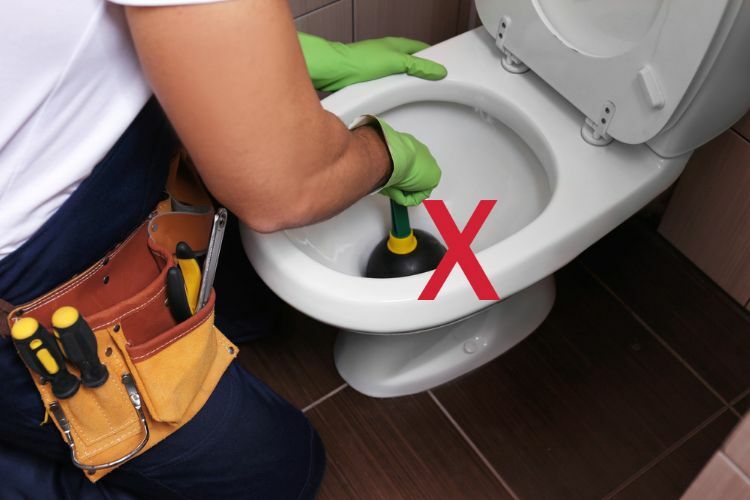 A clogged toilet happens when something gets stuck in the curvy trap at the base of the toilet bowl. Sometimes you don't have a plunger or the plunger just isn't working. Don't keep flushing as you'll only flood your bathroom. 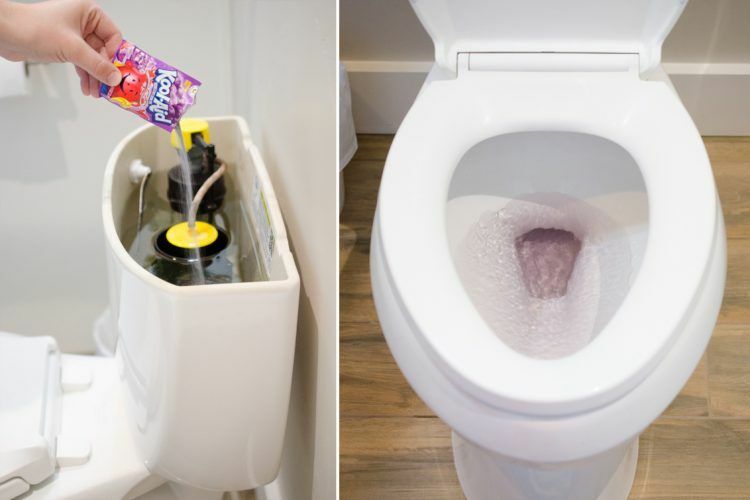 Use a combination of extremely hot water and dish soap to get rid of the toilet clog quickly and easily. The hot water breaks down the clog while the dish soap lubricates the toilet for easy flushing. Discolored lines striping the inside of your toilet bowl are a key indicator of clogged siphon jets. These holes are what power the water into your toilet bowl. Over time, they naturally build up with hard water minerals and other debris. Try to clean these jets once a year to keep your toilet in top shape. You simply clean the openings with a hanger, nylon brush and all-purpose cleaner. If stubborn buildup remains, you may need to use duct tape to close the openings and then pour vinegar in the tank to soak overnight. It's all in the flush. A weak flush can require multiple flushes and waste your water. A flush that is too strong can splash water all over your bathroom. The fix is not difficult. 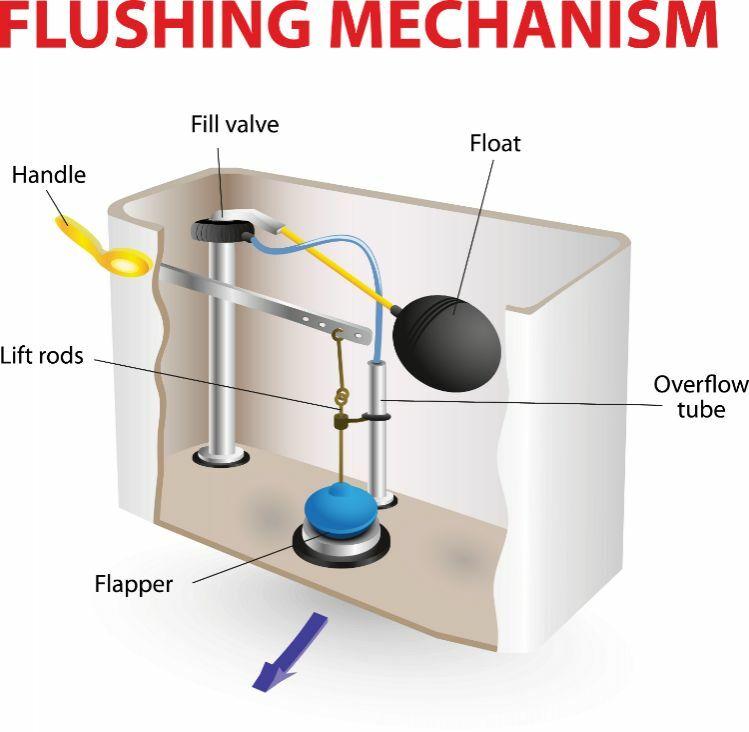 The adjustable float located in the toilet tank controls the amount of water there. The higher you set the float, the higher the level of water in the tank. This produces a stronger flush. In general, you want to set the float level at 1 inch below the top of the overflow valve. Painting a bathroom is a tricky project. There are so many small spaces to get around. You simply can't afford to remove your toilet to paint behind it, but often the gap between the toilet and the wall is visible. How do you paint it without painting the toilet? 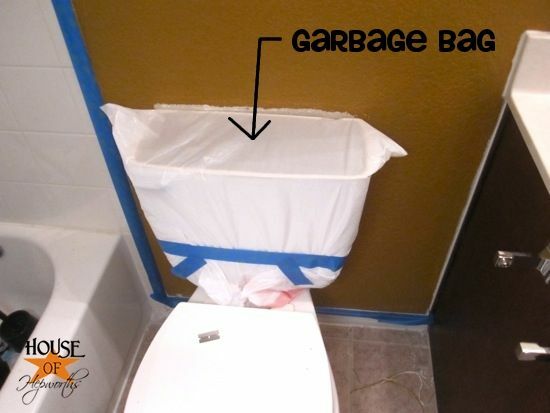 Cover the toilet with an inexpensive trash bag. It slides right over the tank. Painter's tape secures the bag and keeps the plastic off the wall. After the paint has dried, remove the bag and throw it away. A leaking toilet adds to your water bill without your even knowing it. If you don't hear your toilet running, it doesn't mean it isn't leaking. You can easily check for a leak with a packet of flavored drink mix. 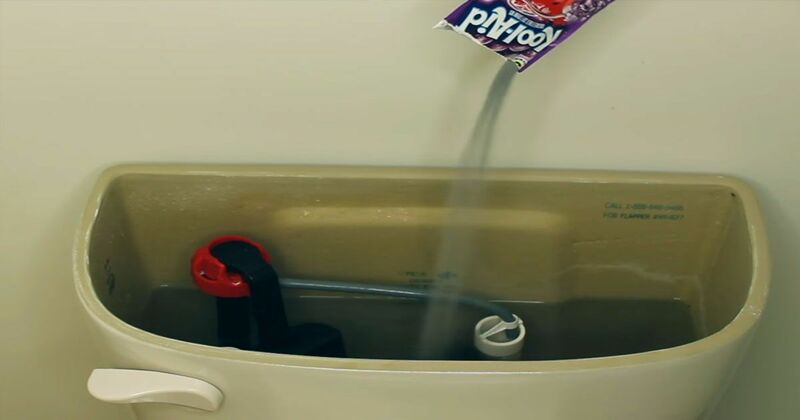 The strong dye in the drink mix makes detecting a toilet leak with Kool-Aid an easy task. Simply pour the powder into the tank and wait. If after 15 minutes you see color appearing in your toilet bowl, you have a leak that needs attention. 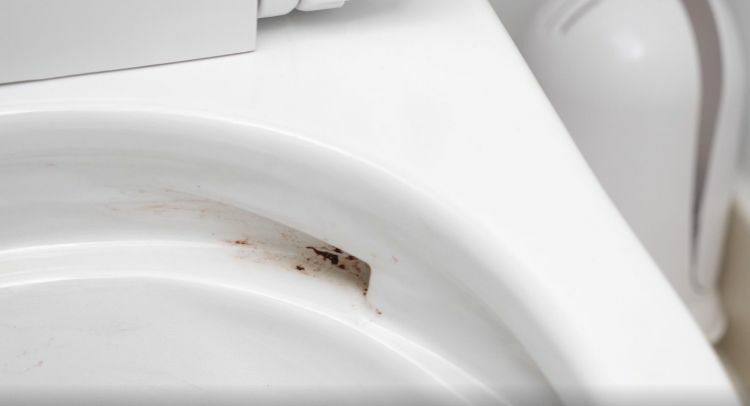 Water, time and use can make it seemingly impossible to remove stains in your toilet bowl. Remove them easily with a container of lemon or orange drink mix. The citric acid in the drink mix works to gently remove stains without the use of harmful chemicals. All you need to do is pour the drink mix into the toilet before bed and leave it to soak overnight. In the morning, your toilet will be nice and clean without scrubbing. Solve the problem of who cleans the toilet with these DIY bath bombs. These fun fizzies are easy to create and free from harsh chemicals. 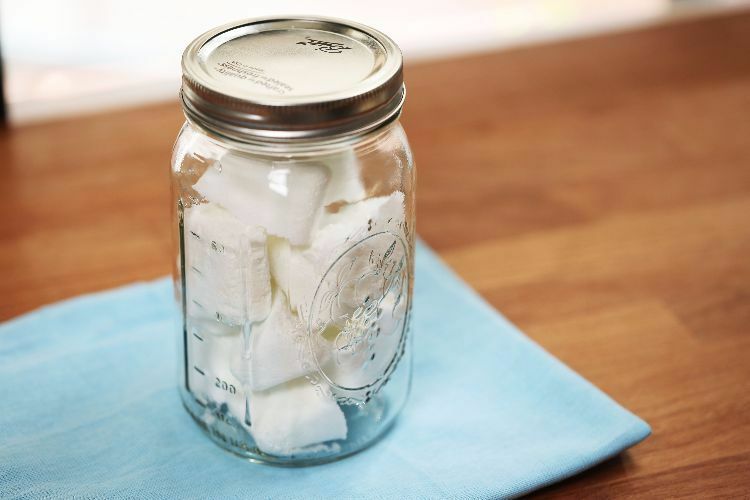 The step-by-step tutorial combines citric acid, baking soda and essential oils for a bubbling cleaner that smells great. Kids and adults will have fun dropping these self-cleaning tablets into the toilet. After a good soak, flush the toilet to keep stubborn stains from appearing. 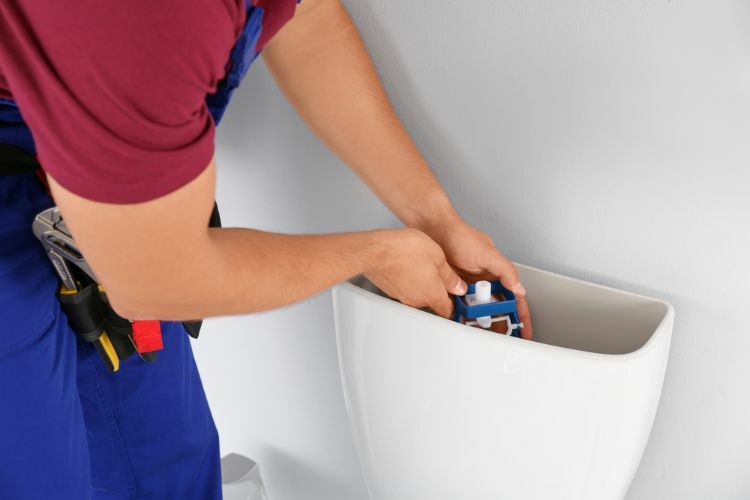 Keeping your toilet in top condition doesn't take a lot of time and money if you know how to perform simple repairs and maintenance. Share how easy it is with all your Facebook friends!